Bertrand Gibeau is Partner – Head of Business development. Prior to joining Reinhold & Partners, Bertrand was a senior advisor at the French Asset Managers’ Association (AFG), where he spent 4 years. During his time at AFG, he was in charge of numerous projects to promote development of the finance industry in France, with a focus on alternative asset management. He was also involved in several initiatives to improve the French regulatory framework for alternative asset management, including the introduction of VaR as a risk measurement tool for funds. Whilst a senior advisor at AFG, Bertrand was a member of the “Adhemar working group” set up by the Autorité des Marchés Financiers (AMF) to address funds of hedge funds regulation In 2008 he helped to administer new legislation from the French Treasury, which was intended to improve the efficiency of the French regulatory framework. Bertrand supervised a broad range of projects related to asset management regulation (reform of money market funds’ classification, pricing of illiquid assets, French closed-end funds…). From 2007 onwards, he was responsible for the AFG’s Center of Ranking and Performance Measurement. 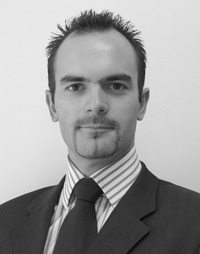 Bertrand has an in-depth knowledge of French and European asset management legislation, having been involved in the consultation process for several recent initiatives, including the “eligible assets” directive of the European Commission (Rasmussen report …) and CESR (eligibility of hedge funds indices …). In addition, Bertrand possesses a broad knowledge of institutional investor constraints, gained through joint work with the AF2I (French association of institutional investors) and the AFTE (French Association of Corporate Treasurers). Bertrand is a graduate of the University of Paris IX – Dauphine (DESS 224 “Financial Management and Banking”). He began his career at Credit Agricole Indosuez as a credit risk analyst. He subsequently became a risk manager at Dexia Securities in charge of operational and credit risk, before joining the AFG. Bertrand leads a wide series of asset management training programs and co-teaches the introduction to derivatives course at the PRAM (“Program for Asset Management” AFG / HEC).